With over 90 public and private schools to choose from, Tennessee has a huge selection of higher education opportunities. Tennessee exceeds the national average in percentage of adult population with a high school diploma or equivalent and is currently working to improve the number of adults with a college degree. One way the state is achieving this goal is by providing college planning programs that encourage high school students to attend college. We looked at those programs as well as other points concerning higher education in the state to create this comprehensive guide, complete with rankings, information on tuition and financial aid availability. We also looked at cost of living and the average alumni debt and income to help give students an overview of what to typically expect from Tennessee schools. When seeking out the best colleges, certain criteria always seem to come into play, such as tuition, graduation rates and student-to-teacher ratios. Students can comb through the variety of schools to find this information, or they can turn to rankings. These rankings take into account all the criteria that make certain schools stand out. 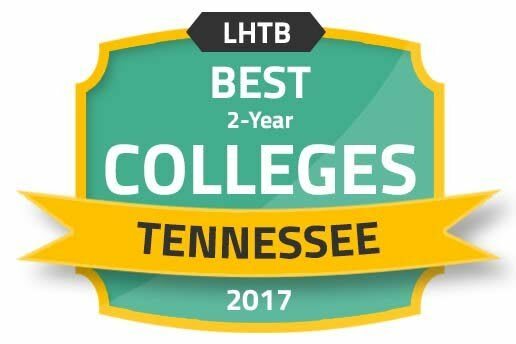 The rankings list below is a great place for students to begin their search for colleges in Tennessee. In addition to reviewing a rankings list of Tennessee colleges and universities, many prospective students may want to assess other factors when selecting a school. This search tool allows students to sort through schools based on individual needs, such as location and acceptance rates. The results can then be compared side by side to help the discerning student choose between several worthy educational options. Tennessee is above the national average in terms of adults with a high school diploma, yet many of those individuals choose not to attend college after high school. To change that trend, Tennessee has created several programs to help fill the colleges and universities. Advise TN consists of special advisors who meet with high school juniors and seniors to discuss the possibility of attending college. All juniors and seniors who attend an Advise TN partner school will have access to these special advisors. In addition to helping students enroll in college, the advisors provide guidance to students in finding the best school that fits their educational and career goals. The SAILS program addresses a problem many community college students face: a lack of academic training necessary to successfully complete college courses. SAILS addresses this issue by introducing students who need additional help to college prep courses while still in high school. These college prep courses offer a hybrid learning experience in math and English. Students can take the courses during their senior year. This is a plan set forth by Tennessee's governor to encourage adults to go to college and get a degree or other credential. Assistance is provided to all types of potential adult students, including those enrolling in college for the first time, returning from military duty or looking to finish the degree they started years ago. The program offers three tailored guides to accommodate these three types of adult students. It also provides guidance for issues that many adult college students are bound to encounter, such as balancing work and family life along with school. College can be a financial investment, and not all schools cost the same. One of the most important considerations in choosing a school is the cost of attendance, and for many, this is the single most important factor. The charts below explore what a prospective student can typically expect to see with respect to college tuition in Tennessee as well as the availability of financial aid at Tennessee colleges and universities. Prospective students should also consider financial aid in conjunction with tuition costs. Subtracting the financial aid award from tuition will provide a net price, which is a more accurate measure of a school's affordability. The following data provides the net price of the most affordable Tennessee schools and compares those numbers to the national average. One popular reason to attend college is the possibility of maximizing earning potential. How much a graduate will make depends on several factors; however, a few schools tend to produce graduates with higher salaries. Here are the six best schools with respect to alumni who make the most money 10 years after starting college. After financial aid and scholarships are awarded, prospective students may look at loans to offset the cost. Student loan debt, however, can be a heavy undertaking, so students should consider schools that tend to produce graduates with the least amount of debt. These six schools are the top in Tennessee for alumni with the lowest amount of debt. One factor to consider when calculating the real-world cost of college attendance is the cost of living. Luckily, living in Tennessee is relatively inexpensive, with a cost of living about 14 percent lower than the national average. Tennessee especially stands out with the cost of housing, which is 30 percent lower than the national average. Check out the following chart for more specific cost comparisons of major metropolitan areas in Tennessee. Accreditation is important when deciding among the many Tennessee colleges. Accreditation means a student will receive academic instruction that meets high quality standards. Not only does attending an accredited institution pose well on a résumé, but it also allows students to transfer credits easily and qualify for future graduate study. Schools can be accredited at the institutional level as well as the programmatic level. In Tennessee, most schools are accredited at the institutional level by the Southern Association of Colleges and Schools Commission on Colleges, a regional accrediting body. Below are two examples of programmatic accreditation. The Accreditation Board of Engineering and Technology accredits the biomedical engineering program at Vanderbilt University. The Council for Accreditation of Counseling and Related Educational Programs accredits counseling programs at the University of Tennessee. Since it became a city in 1791, Knoxville has continued to change and grow into the college town it is today, with the University of Tennessee serving as its keystone educational institution. The city's vibrant downtown and busy nightlife are a few of the reasons students might enjoy attending one of the many colleges here. Among the 40 graduate and undergraduate programs, students who attend Johnson University can receive a unique level of instruction that covers three primary areas: bible and theology, professional studies, and arts and sciences. The multipronged curriculum trains students to make a difference in the name of Christ. Johnson University's campus in Knoxville was founded in 1893 and offers students a more personalized experience with a 16-to-1 student-to-faculty ratio. PSCC started in 1974 with only 45 students. Today, more than 11,000 students attend classes at five campuses. Over 25 associate degree programs are offered in areas such as early childhood education, nursing and engineering technology. Students can also enroll in various certificate programs. PSCC participates in Transfer Pathway, where students begin their college education at PSCC and earn credits that can apply to a bachelor's degree. Originally founded in 1794 as Blount College, the school was renamed the University of Tennessee in 1879. UT is now home to 11 colleges offering over 300 degree programs. Despite having a student body of over 27,000, UT still ensures focused instruction for students with a respectable student-to-faculty ratio of 17-to-1. UT is also a major research university, with over 60 research institutes and centers, including the famous ?Body Farm? featured in numerous books, movies and television shows. Nashville, known as "Music City USA," is not only immersed in the music scene, but in the culinary scene as well. It was named "The Coolest, Tastiest City in the South" by Bon Appetit magazine. If a student happens to be a music lover and a foodie, these colleges can put them right in the center of the action. Established in 1970, Nashville State Community College offers numerous associate degree and certificate programs in over 80 subjects, including civil and construction engineering technology, law enforcement, computer information technology and health sciences. With six campuses, students have plenty of convenient locations to receive their college education. NSCC also offers students the ability to start their bachelor's degree and then transfer to another school to complete their four years of study. Founded in 1912, TSU currently offers 77 majors, 38 undergraduate degrees and 24 graduate degrees in academic areas, such as nursing, business administration, criminal justice, social work and public policy. TSU is unique in that it has two Nashville campuses, one in the suburbs and one downtown. As a result, students will be able to enjoy different aspects of Nashville living. The student body is approximately 8,900 with a student-to-faculty ratio of 17-to-1. Vanderbilt University was founded in 1873 following a gift from Cornelius Vanderbilt to endow and build the school. Vanderbilt is a private, non-profit institution that currently has about 12,000 undergraduate and graduate students. Students can study in one of the 10 colleges and schools in areas such as law, divinity, medicine and music. College is an exciting time, but simply getting in can be stressful. Fortunately, Tennessee offers these programs and resources designed to help prospective students. This site acts as a hub of information relevant to college students and includes information on financial aid resources, career advice and how to choose the right school. This system is designed to help students learn about themselves so that they can make stronger college plans. The THEC's mission is to organize objectives for systems of higher education in Tennessee. The THEC also provides information regarding academic and financial initiatives for prospective college students. This state program consists of scholarship and mentoring components meant to increase the number of Tennessee students entering college. TSAC is a state agency tasked with administering certain state and federal loans. Through TSAC, students can register to apply for financial aid online or review their financial aid award summary. TN Stars is the name for Tennessee's official 529 college savings plan. Through this plan, families and students can start putting away money through investment options and enjoy certain tax benefits.